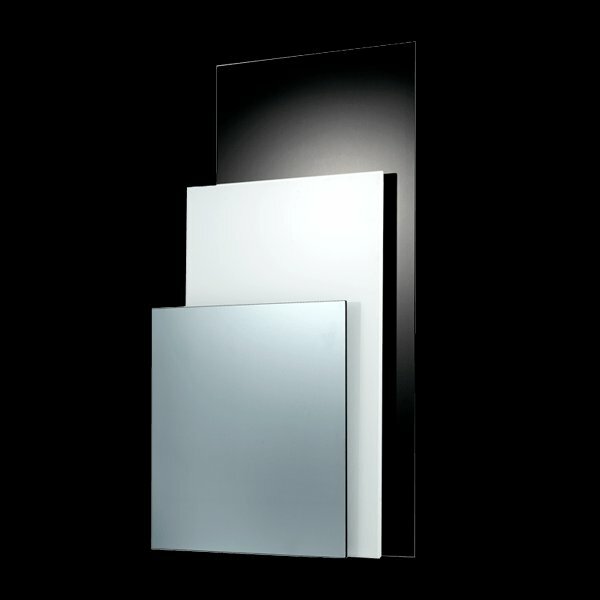 Ember Glass Black - 35" x 24"
Ember Glass Black - 47" x 24"
Ember Glass Mirror - 35" x 24"
Ember Glass White - 35" x 24"
Ember Glass White - 47" x 24"
Ember Mirror - 35" x 24"
What size panel will you need? As an affordable option, Ember radiant panels offer modern styling in two main varieties: Glass and Mirror. The Glass variety comes in black or white colors in two different sizes, while the Mirror variety is simply available in a mirror finish in one size. Both options deliver clean heat without circulating any dust or other allergens into the air. Plus, these vent-free heaters have one of the highest possible efficiency rates and consume the least amount of energy possible*, so you can feel good about your heating source. Hang these panels from your walls or purchase our towel bar accessory to make it also function as a towel warmer. Attach them to a vertically mounted panel to give your heater a whole new function. * Infrapower Manufacturing Ltd.
How hot is the unit when in use? The heater is very hot during use (depending on model, up to 125° C or 257ºF). How quickly does the unit heat up? The startup heating time is approximately 5 to 10 minutes. However, your room will not feel warmer immediately because the cold objects in the room (furniture, walls, ceilings, floors, etc.) need to warm up first. Once these surfaces are heated, the warmth will spread throughout the room. What should I do if my Ember radiant panel won’t heat up? Verify 120V power at the connection of the panel to the circuit at the junction box in the wall, or at the outlet for plug-in models. Each Ember heater has a built-in safety switch that turns off the heating element automatically if it overheats. By unplugging the unit and waiting for about 10 to 15 minutes, the safety switch will reset automatically and the unit will be operational again. If you experience additional issues, please give us a call at 1-800-875-5285. How far from the panel will the heat substantially radiate and where should it be aimed? Radiant heat travels through air, and typically heats up objects closer to the panel first and then the rest of the room later. Heat from the panel can be easily detected from about 3-4 feet. Ideally, the radiant panel should be aimed onto the area with more use, since that will be the surface that will warm up first. Ember Radiant Panels achieved an average rating of 4.7 stars with 3 reviews by our customers. The panel can fit two bars. We chose just one and love it! We put the bar on the lower slot so that the towels do not block the panel. The panel does a great job warming the bathroom and the towels are warm! Attractive and effective. Install went smoothly. A radiant panel is a great way to add supplemental heat to a room— not unlike a wall mounted space heater. The table below will help you identify the typical room size* that a radiant panel can help warm up, based on wattage/heat output. 600W Ember 86 sq. ft.
800W Ember 114 sq. ft.
*This estimation is based on installing a radiant panel in a typical/average room. One factor that will impact the actual results is a room's degree of heat loss, which can be impacted by a number of factors including ceiling height, number of windows, and insulation level. To get a free Heat Loss Calculation based on your room, go here.